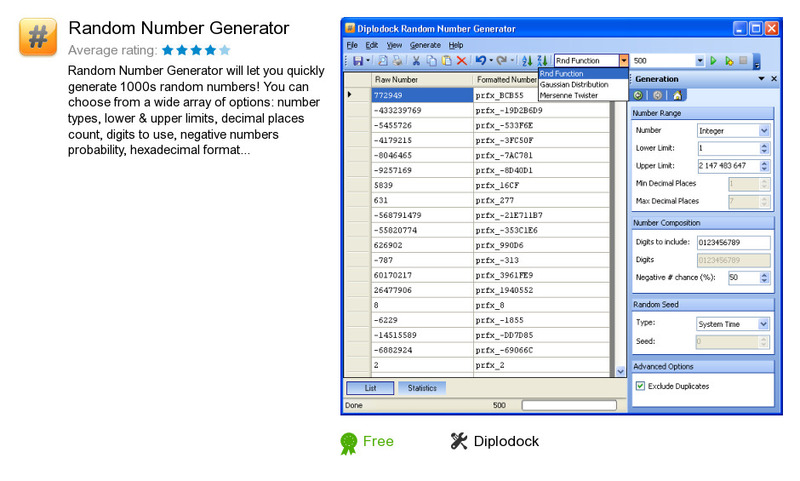 Random Number Generator is an application developed by Diplodock. We know of versions 2.1, 1.0. Version 1.0 is available for download at our site. Random Number Generator installation file has a size of 4,621,033 bytes. Diplodock also publishes Hex Editor Pro and Keyboard Guardian.